It’s been a busy week around here. We’ve been packing, painting and patching nail holes as we’re preparing to move in a few weeks. It’s a sad thing to paint our bold accent walls back to beige. I decided that taking a break to make these colorful treats might make me feel a little bit better! 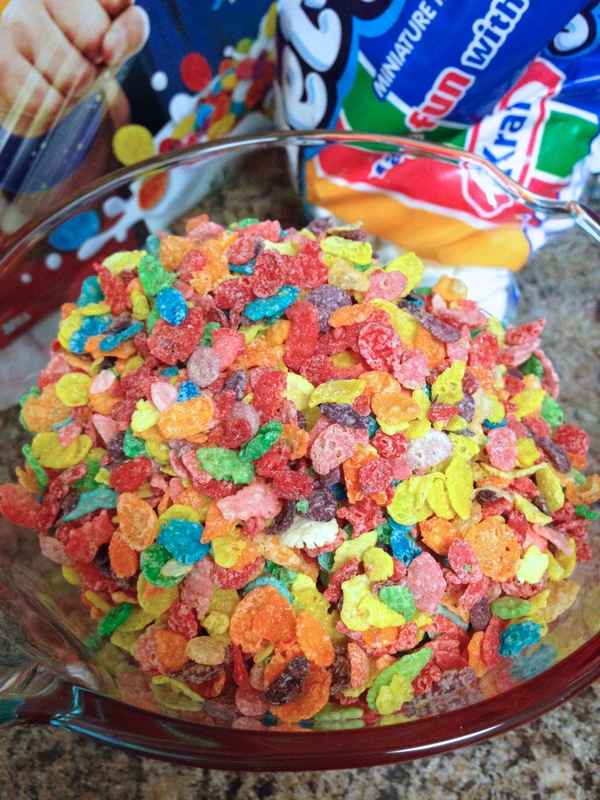 This is the quick, classic rice krispie treat recipe with a fun cereal swap! 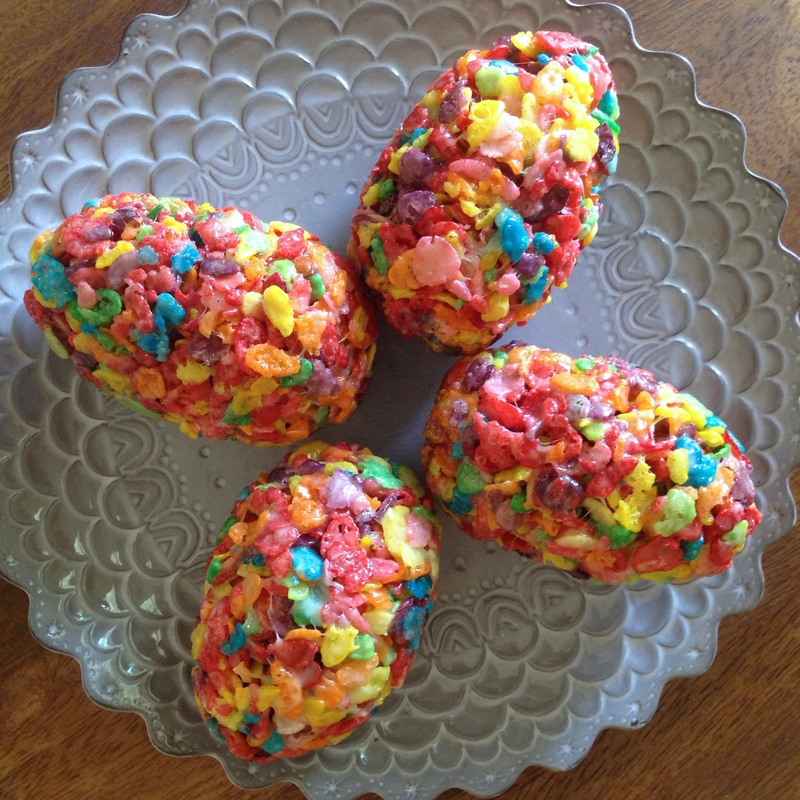 I added a little Easter twist by shaping some of the treats into an egg shape. Kind of festive! Melt butter in large sauce pan over low heat, then add marshmallows. Stir until marshmallows have melted and are combined with the butter. Cook for several more minutes, stirring constantly. Remove from heat and add the cereal. Stir until well coated. Lightly spray a spatula with cooking spray and press the cereal mixture evenly into a buttered pan (I used a 10″ x 10″ pan). Let the treats cool slightly before shaping them into the egg molds, the treats will lose their shape if you mold them too soon. Let the treats cool completely if you plan on slicing them. Enjoy! these sound amazing! 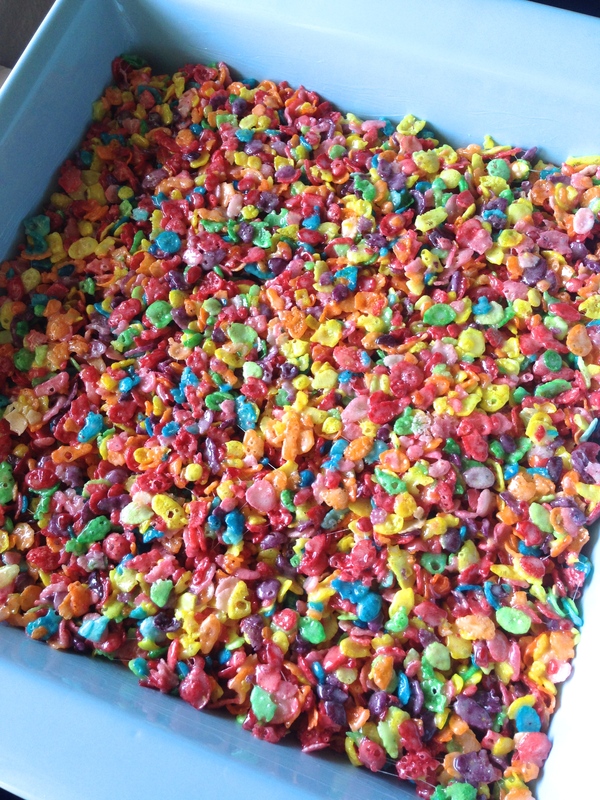 fruity pebbles were my fav growing up! They were one of my favorites too! What a cute dessert for easter! Such a great idea! Thank you! They’re so easy to make! I use unsalted butter for making sweets and baking, though salted butter would probably work as well because some marshmallow treat recipes call for a pinch of salt.